'Amitabh Bachchan is like marijuana. You get spoilt and addicted to him. Once you have worked with him, you want to work with him again.' That is Rakesh Omprakash Mehra's assessment of Amitabh. Mehra directed Aks, Amitabh's music video and his first television commerical for BPL. 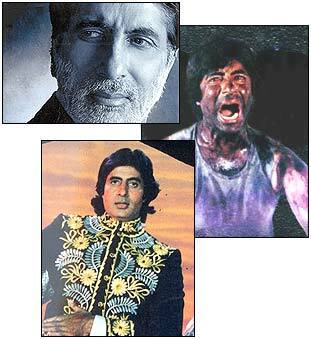 'Amitabh's most outstanding quality has been his sincerity and commitment to his work. He is a thorough professional. That is why he has lasted so long,' exults director Prakash Mehra. 'He has matured like vintage wine, completely, positively,' says director Ramesh Sippy. Some faces of Amitabh Bachchan, as interpreted by his directors.